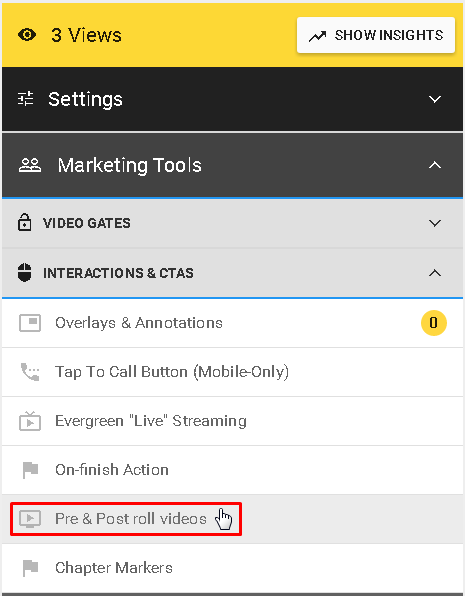 To find this feature look under INTERACTIONS & CTAS in Marketing Tools. It is really important to optimize your videos before uploading them to vooPlayer for better streaming performance. 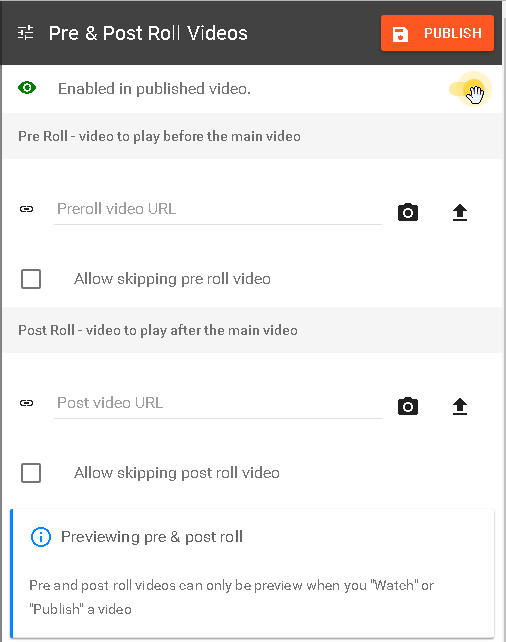 You can also Allow skipping pre/post roll videos by checking the appropriate boxes below each video.